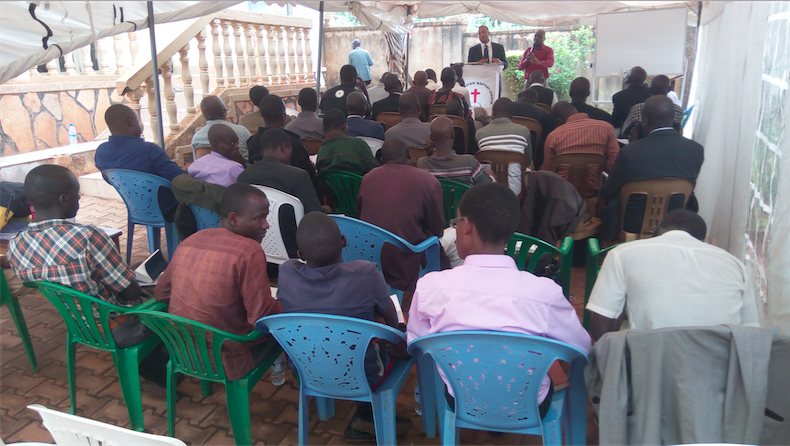 “You’ll remember that we had the two previous conferences in Fort Portal (Western Uganda), but we decided to start having them in Kampala for two reasons. One, we were not comfortable with the big numbers of women pastors compared to the number of men attending in Fort Portal. Two, pastors from other districts around the country wanted the same conferences in their own districts. It would not be possible to travel that much and still care for our flock here. 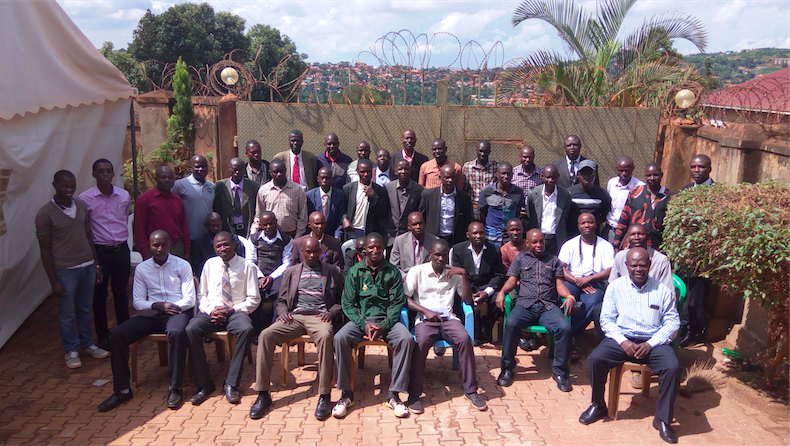 So we decided to start having them in Kampala so that we mobilize only male pastors, and also because Kampala is central for the pastors from all the districts. 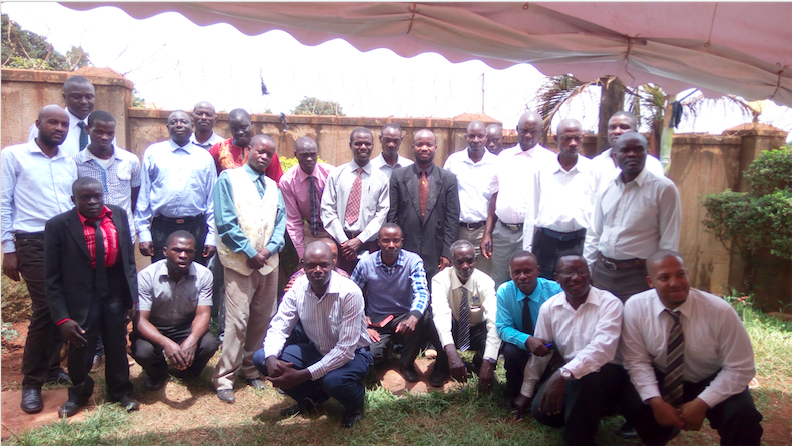 By the Lord’s grace, we managed to have 40 male pastors, from 4 different districts of Uganda and 1 pastor from South Sudan. We had 5 women who came from a Pentecostal church whose pastor is slowly falling in love with reformed theology. The pastor requested us to allow him bring those women with him (leaders in his church) because he wants them to also be exposed to biblical teachings, which was very fine with us. The theme for our February conference was “Marks of a Healthy Church.” We had 10 marks, among them: 1) Knowing the Living God, 2) Biblical Church Discipline, 3) Biblical church membership, 4) Biblical church leadership, 5) Expository preaching, 6) Biblical Evangelism, 7) Biblical View of the Gospel, 8) Biblical Theology, 9) Biblical View of Conversion, 10) Discipleship & Growth. 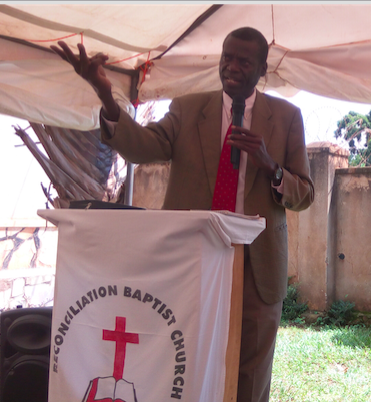 One of our main speakers was fellow HeartCry missionary Sam Oluoch, pastor of Grace Baptist Church Kisumu, Kenya. We held the conference on a weekend (Friday –Sunday) because it would be good to worship with some of the pastors who have been attending our conferences, so they can see how a worship service is conducted in a biblical manner. Many pastors went back to join their churches on Sunday, but 13 pastors remained to have worship service with us at RBC, and it was very good seeing them in our midst. Many of them had seen such a worship service for the very first time that Sunday. For our June conference, we faced some positive challenges and we thank the Lord for them. Our tent of meeting is promising to let us down soon, as far as these pastors’ conferences are concerned (right)! If the numbers increase again in October, then we’ll be obliged to hire a small tent to add on ours. We also had a bigger number of pastors from far districts, which forced us to get a second hotel for more rooms, and therefore, more work of dropping them every evening and picking them every morning. This time we had pastors from 8 different districts of Uganda (compared with only 4 districts in February) plus one brother from South Sudan! This was the very first conference for us to reach number 50, all men! Not that we stop women from coming, but these Ugandans are slowly understanding that we don’t believe women pastors are biblical. Once again we used a fellow HeartCry missionary as one of our main speakers. This time it was Paul Onyango (left), pastor of Grace Baptist Church Milimani in Kisumu, Kenya. And once again, our dear brothers and missionaries, Jim Robinette and Sam Smith from the US (living in Uganda), gave us books to give to pastors for free. What a blessing this is to our conferences! 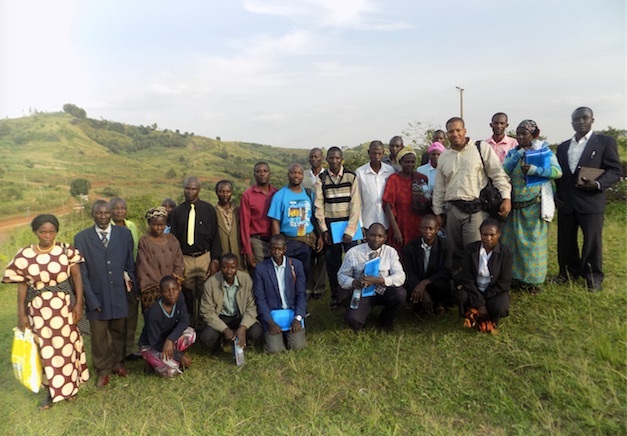 The team from Fort Portal brought food (bananas and beans) to help us feed the pastors, and with the increased numbers, that food was a blessing indeed! The English say that “Actions speak louder than words!” This is enough sign that these Pentecostal pastors have liked the teachings. And on top of the action, they do speak about it to other pastors themselves. This is what one pastor from Fort Portal was telling other pastors, “I was so much confused with these teachings when these conferences started. But later, I came to realize that, though some of the teachings we don’t want to hear, it is the only truth we need because it is found in God’s Word!” What an encouragement it is for us to hear such words. 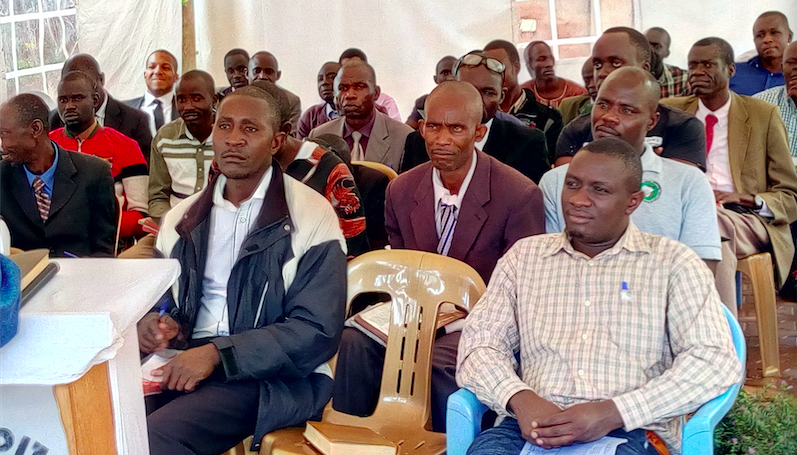 A few pastors are showing great interest to learn even more and see whether they can be used by the Lord to plant biblical churches in their districts and towns in the future. This is making us think about some form of simple pastoral internship at RBC in the future, if at all it’s according to the Lord’s will. And please pray for the connection the Lord is putting between us and the brethren from South Sudan, that something good will come out of it!